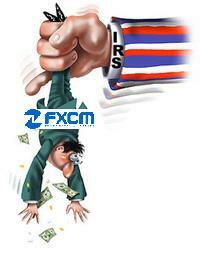 New York, June 4, 2009: FXCM Holdings LLC continues to make a public release of its balance sheet. The numbers reflect the firm’s financial strength and status as of April 30, 2009. Please Note: In April, there was a significant drop in the firm’s net capital.This decrease is related to FXCM fulfilling its tax obligations. Last year was a terrific year for FXCM with the firm hitting all-time volume highs, and as a result, the ownership of FXCM made payments of nearly $50 Million towards fulfilling taxes due.However, even after such payments, FXCM Holdings, LLC has over $100 Million in firm capital, of which $60,472,142 is held by the firm’s US registered entity, Forex Capital Markets LLC. *The remaining capital is held by FXCM’s other entities, including regulated entities in Australia, Dubai, Canada, Hong Kong and the United Kingdom. FXCM Holdings, LLC consists of FXCM Australia LTD., Forex Trading LLC, Forex Capital Markets LLC, Forex Capital Markets LTD, FXCM Asia LTD, FXCM Canada LTD and FXCM DMCC.